Serious Performance. Serious Quality. Serious Results. Introducing the premium Airdyne X Fan Bike by Octane Fitness, an innovative designed that will challenge the toughest of athletes. The commercial grade Airdyne X features 26 blade fans, providing the intense wind-powered resistance that will push your endurance to the limit. A range of HIIT and target programmes will keep you motivated, as well as endless perfectly engineered ergonomic adjustments to achieve the best position for a smooth ride. 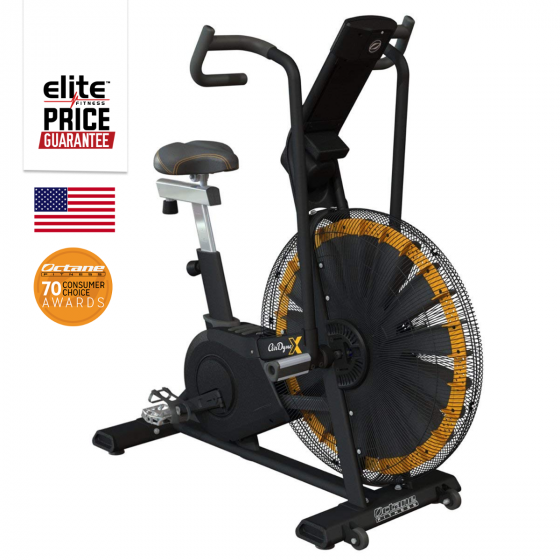 The Airdyne X Fan Bike is loved by all practising cross-trainers and is a must-have in any gym. *Warranties are subject to change depending on installation environment and usage - Please consult your Commercial Rep for further details.